Info: [ Kirti monks in-exile ] At around 6:40 pm on April 24 2013, two monks of the Taktsang Lhamo Kirti monastery, Losang Dawa, 20, and Konchok Woeser, 23, set themselves on fire in the monastery’s assembly hall. They shouted slogans of protest against the Chinese government and its policies in Tibet, and died immediately. The monks took their bodies to their rooms and said prayers for them. Local authorities have indicated that their remains must be cremated tomorrow. For Konchok Woeser 20 yr old and Lobsang Dawa 22 yrs old. Both are monks from Taktsang Lhamo Kirti Monastery. 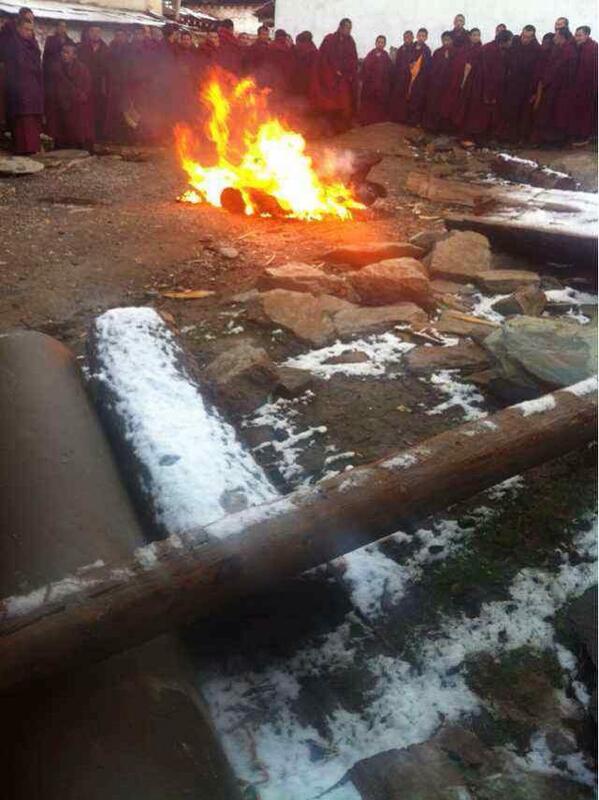 They self-immolated together beside the main prayer hall on April 24, 2013 in Zoege, Amdo, Tibet. 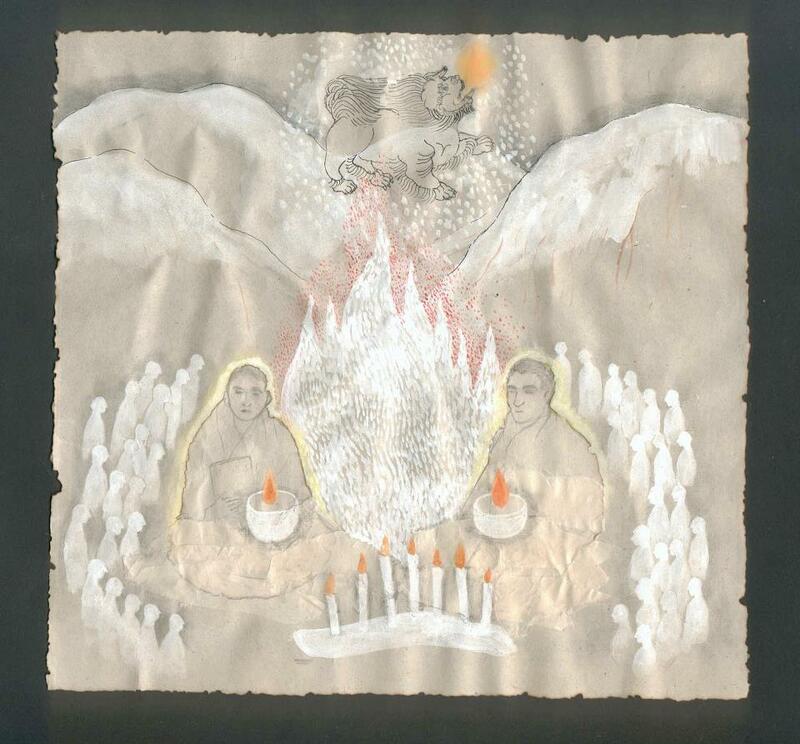 In the picture arrived in the Tibetan-in-exile community, snow could be seen on the logs and stones around their burning site. I dream a country where no more of you have to do this. Three Tibetans—two monks and a woman—set themselves ablaze and died Wednesday in Sichuan province’s Ngaba (in Chinese, Aba) Tibetan Autonomous Prefecture in one of the worst fatal self-immolation protests to date against Chinese rule, sources in the region and in exile said. The burnings bring to 119 the number of Tibetan self-immolations since the wave of fiery protests began in February 2009. Also on Wednesday, at about 2:00 p.m., a 23–year-old Tibetan woman set herself on fire and died in a protest against Chinese rule in Sichuan’s Dzamthang (Rangtang) county, Tibetan sources said. The woman’s name and other details of her protest are still unknown. 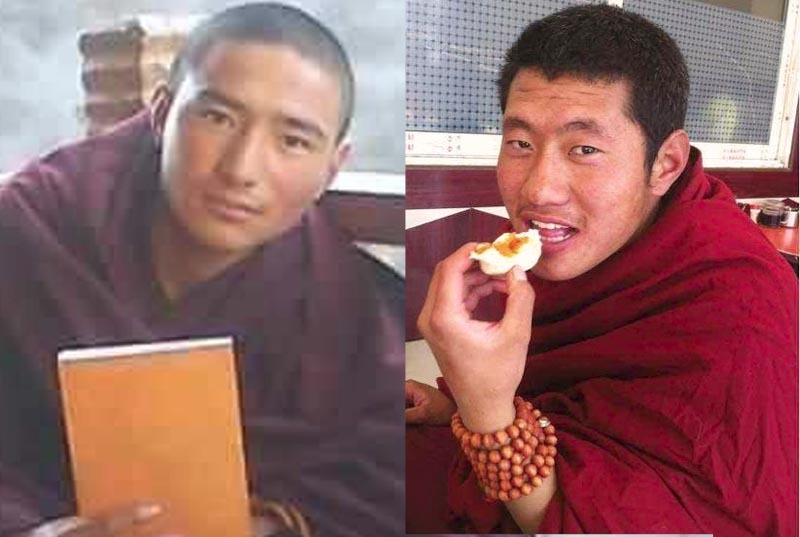 The last time a triple self-immolation protest occurred on the same day was on Nov. 7, 2012, when three teenage monks from Ngoshul monastery, also in Ngaba, set themselves on fire to protest Beijing’s rule in Tibetan areas.